It is a rare and somewhat exceptional event: two sons, one a professional and the other a semi-professional runner, introduce their sixty-year-old father to trail running. And not just any trail running: ultra trail! Each of them faces their own personal test: the TDS® for Sylvain, the CCC® for Pascal, and the UTMB® for Sébastien. Three individual finish lines to cross, and a shared challenge to conquer! 27th August 2018. In the Camus chalet perched above les Houches, the atmosphere is very different to years past. As always, everyone is here to support Sébastien, professional trail runner (7th of the UTMB® in 2016), in the build-up to the race. Sylvain (2nd of the 2017 CCC®) is also the center of the family’s attention. Yet this year brings a new element for everyone : Pascal, sixty years old and father of Sébastien and Sylvain, will not be spectating this time round. He will be lining up for the CCC® with the goal of finishing his first ultra trail. 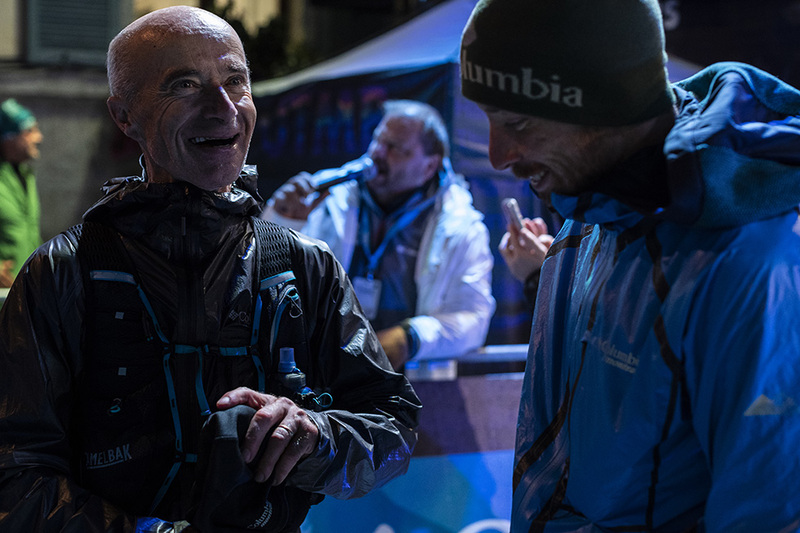 “A father and his two kids, each taking part in one of the UTMB® events, it’s a pretty incredible story!” smiles Sébastien, delighted with the new challenge. With a mixture of tenderness, professionalism and the inevitable family bickering, Seb and Sylvain give Pascal final tips on how to prepare his gear, tie his poles and load his backpack. All three have been training hard for a whole year at home in Sospel, on slopes and trails stretching high above the Mediterranean Sea; an ideal training ground to prepare for one of the world’s toughest sporting events. Hours and hours of running, built into the tough muscle fibers of these hardened sportsmen. Their minds are just as sharp, and the glint in their eyes leaves one in no doubt that races are made to be won. This mental strength is the one thing Pascal could rely on when starting out on the adventure: he has had to learn everything else. From walking the uphill sections to negotiating the descents, managing nutrition and hydration, choosing the right equipment… with his sons by his side to help and advise. The start of the TDS® on Wednesday morning marks the beginning of the joint adventure. Sylvain is the first to take on the challenge, while Seb and Pascal watch the live coverage from the comfort of the chalet, encouraging and supporting from a distance. Sylvain starts off well, successfully negotiating the first part of the race, until he slips on the descent toward Bourg Saint Maurice and falls. His back seizes up, his muscles spasm and by the time he reaches the halfway mark at Cormet de Roselend, it is clear things are over. He is forced to withdraw; a tough blow for him, but also for his supporters. “My heart broke a little, because I knew he was physically in very good shape, and I thought he might make the podium. It put a little pressure on me, for sure,” regrets Pascal. You can feel the spirit of competition emanating from every member of the Camus family: the calm way they deal with pressure, the unapologetic desire to succeed, the shared energy which picks them up and keeps them going when they fall… It is apparent at the start, during the race but also after, in particular when things go wrong and failure is staring them in the face. They know what to say, when to stay away and how to encourage and reassure. All three sit together the evening after the TDS®; it is time for Sylvain to hand the baton over to Pascal, who will be competing in the CCC® the following day. “The family spirit which unites us is so powerful, so strong… it can help you achieve some amazing things,” says Pascal. His words and his sons’ advice are still in his head as he stands, fully-focused, on the start line on Friday morning. “I said don't worry, you'll be fine. He has the ability to do it, now he just needs to pace himself correctly,” says Sébastien confidently. His disciplined pupil follows the strategy and timing perfectly. 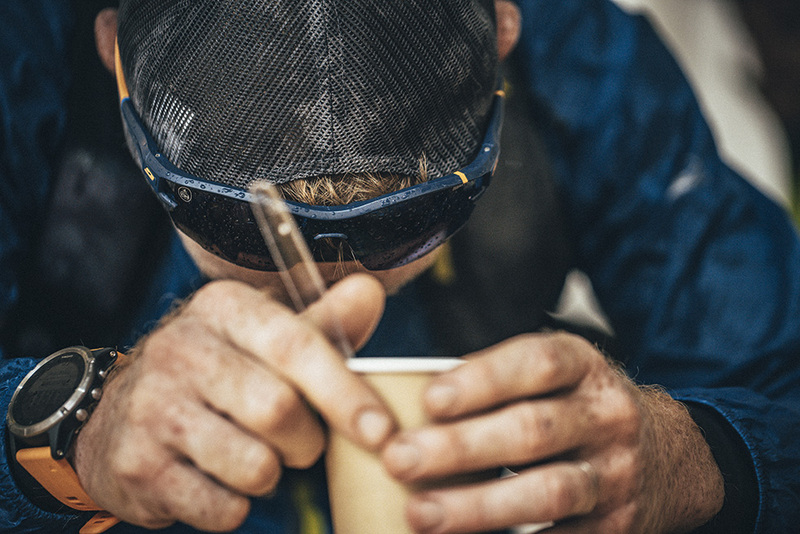 Starting off conservatively, keeping a clear head as he makes his way through the aid stations, building into a consistent rhythm which he maintains all the way to the finish line. The final kilometers are the hardest… the last long climb to La Flégère is ruthless, seeming to stretch endlessly into the night. Pascal crosses the line a little after 3am, with a little energy still to spare, overjoyed to have succeeded in his quest. “It was my first ultra, and the last!” he grins at a delighted Sylvain. At exactly the same moment, Sébastien passes through the Courmayeur checkpoint and is told his Dad has finished. He is in the top 20 and everything finally seems to be rolling smoothly… until night falls and the hostile blanket of the mountain envelops the race – and blacks out the dreams of the favorites one after the other. The disappointment is palpable, yet despite both Sylvain and Seb’s DNFs, they succeeded in their initial challenge: they helped their father Pascal complete his first trail. Victories do not always come in the form we expect them to. Guillaume Desmurs is a french journalist working in the outdoor industry. He began his career at the Agence France Presse, then was editor of many ski and mountain magazines in France. He founded the DD & Fils outdoor marketing and communication expertise agency with Gino Decisier. 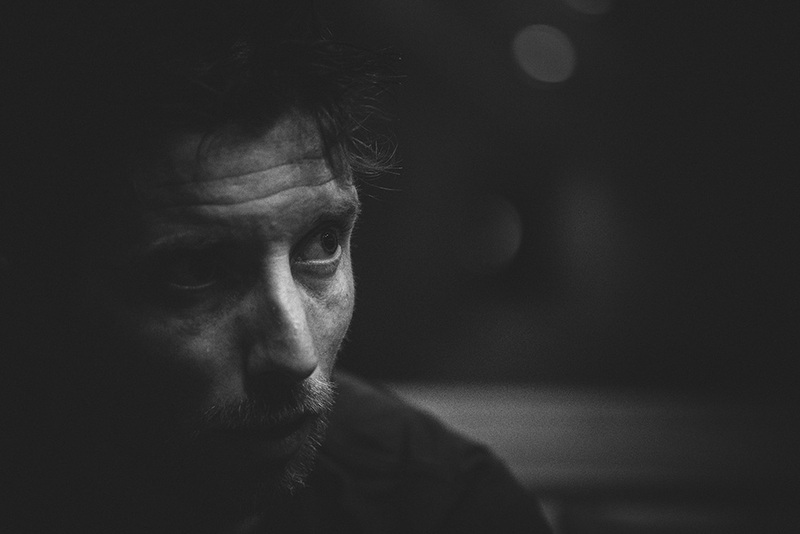 He is the author of several books, makes branded films (including the webserie UTMB Stories with Columbia), won the Jury Prize at the Autrans Mountain Film Festival, hosts conferences and a blog devoted to literature (motsacredit.com).